Moving? Here are the packing supplies you should start getting together, and how much you’ll need. Tip: You’ll want to buy a few rolls of shipping tape for sealing boxes, masking tape for labeling boxes, duct tape for closing heavier boxes, and painter’s tape to paint and hang items in your new home. Tip: Make a note to start saving your newspapers a few weeks before your move to save yourself from buying extra packing paper. You can also ask around to your neighbors to have them save theirs as well. Tip: Placing heavy items in small boxes will make the moving process a lot easier. Tip: Large boxes are best for large or extra large items as well as a bunch of lightweight items. Tip: For delicate or light colored furniture, be sure to cover it with a plastic covering before your move to keep it from getting dirty or scuffed. Tip: Moving blankets are great to protect things like your television, mirrors and furniture from becoming scratched or otherwise damaged in the move. You can also use blankets and sheets to protect your items as well, just make sure they’re thick and sturdy enough to do the job. Tip: Protect the floor when moving large furniture with felt pads. Trust us, the last thing you want to do is scratch your new or old home while moving your dishwasher in or out. Tip: Liquor store boxes are great for packing glasses because of their cardboard inserts. Tip: Carrying box after box to your car or moving truck can become quite tiresome, so save your energy by loading up a dolly instead. This is especially useful if you’re moving a heavy item that you can’t quite carry by yourself. If you don’t want the expense of buying a dolly, you can always rent one from a moving company instead. Tip: While you can simply label each box with a black sharpie, some people prefer to have an organized labeling system where different colors are assigned to each room in the home. While this system is a bit tedious, it makes a huge impact when you’re unpacking your boxes in your new home. Tip: Use your outdoor gardening gloves or something a little sturdier to keep a tight grip on furniture, appliances and boxes as you move them. Globes will also prevent you from getting any blisters. Tip: You’ll want to have these moving essentials handy to tie-down any large furniture items or appliances. Tip: Make sure to have a toolbox handy to remove screws and nails as you disassemble bulky furniture. Tip: It’s always better to be safe than sorry, especially when it comes to your possessions. Be sure to buy a padlock before your move so you can secure the truck from any unwanted intruders, especially if you plan to leave your truck overnight. Hiring a moving company can save you the time, energy and hassle of not only moving all of your belongings, but also of purchasing or renting these supplies. 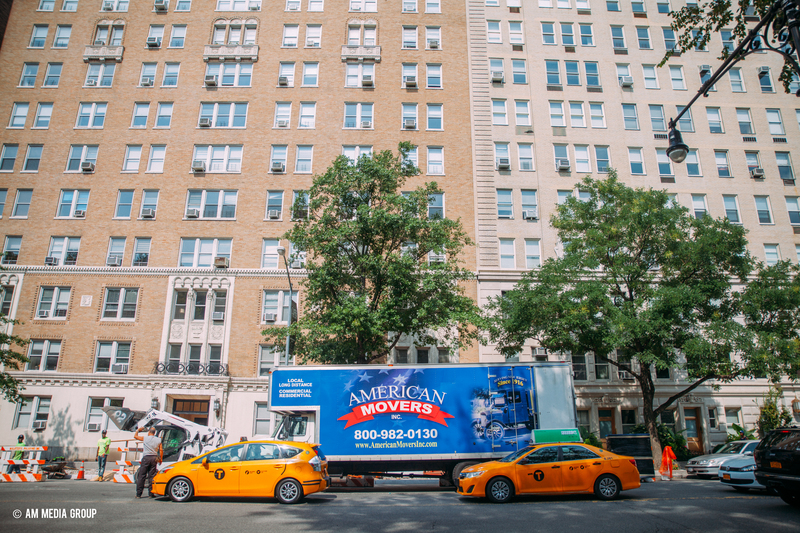 Whether you’re moving a studio apartment or a 10-room home, let the professionals handle all of the logistics, so you can sit back and get ready for your new home. How to Pack a Coffee Table for Your Move Should You Move Your Furniture or Buy New?